Come Sunday, I will be frantic with activity because Sojourners is hosting The Mobilization to End Poverty - a three-day, historic event that will virtually END poverty. Well ... maybe not, but hopefully it will get us on the right track. 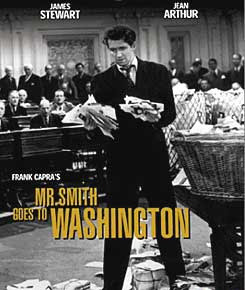 I had a total Mr. Smith Goes to Washington moment after reading this! Indeed, it is our constitutional right and Christian duty to speak up for those who cannot speak up for themselves. So please pray for us at The Mobilization. We'll be doing a lot of work, but hopefully, God will be working as well! Bonus: I get to interview some pretty rad people, including Martin Smith and Don Miller! i wish i could be there. next time will you guys please have this partially on the weekend? can you put some links here on how to follow online? is it just zab and ed blogging? do you remember the apollo earrings giveaway from leah sakellarides on joanna's blog a few weeks ago?! well leah is giving away another beautiful piece this week on my blog, macaroni club! she is so talented, and so sweet to do this! i'd like to invite you to come visit macaroni club, and if you like this piece of leah's, sign up to win it!